John Bolton and the US Congress have demonstrated their contempt for international law in conveying their implicit support for Israeli settlement expansion. The UN Security Council’s December 23 vote on Resolution (UNSCR) 2334 declared that Israeli settlements have “no legal validity.” This news (nothing new about it) unleashed a political firestorm in Washington. 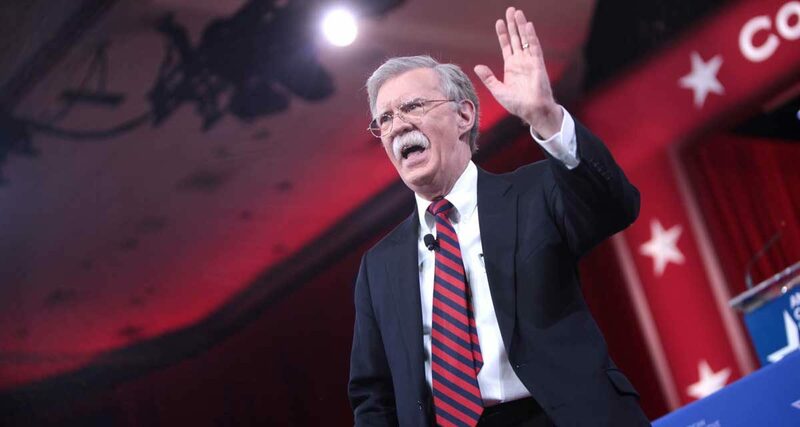 John Bolton, in line to become Trump’s deputy secretary of state, led the charge with an outraged opinion piece (“Obama’s Parting Betrayal of Israel”) in the Wall Street Journal on December 26. Congress followed in January with its own pro-Israel whereas clauses. H.Res. 11, with 134 cosponsors, condemned the UN action on the ground that it “undermines …direct negotiations.” (Never mind that the Security Council called on all parties “to exert collective efforts to launch credible negotiations on all final status issues….”) The House resolution passed by a vote of 342 to 80. S.Res 6, with 47 co-sponsors, has been referred to the Foreign Relations Committee. Similar in thrust to the House resolution, it calls for the repeal of UNSCR 2334. Meanwhile, in an effort to punish the UN, Republican Congressman Brian Babin has introduced H.R. 249, a bill that would prohibit U.S. voluntary contributions to the United Nations. The settlements are themselves an obstacle to peace and an impediment to a two-state solution because they occupy Palestinian land designated for a Palestinian state and incite violence from both sides. UNSCR 2334 recognizes the need for direct negotiations. John Bolton’s cited opinion piece should disqualify him from an appointment to the State Department. In disparaging UNSCR 2334, Mr. Bolton condemns the Obama administration for refusing to exercise its veto. He ignores the importance of the United Nations as arbiter and articulator of international law and would have the incoming administration: (1) threaten with diplomatic punishment those Security Council members that refused to vote for repeal of the resolution; (2) withhold US assessed contributions “if this mistake is not fixed;” and (3) “unambiguously reject” the two-state solution. Bolton proposes instead a three-state solution that would “return Gaza to Egypt” and give those parts of the West Bank “that Israel is prepared to cede” to Jordan. Mr. Bolton’s bizarre reading of Resolution 242, claiming that its language (the absence of a “the” or “all” before “territories occupied in the recent conflict”) justifies Israel’s less-than-total withdrawal of occupied lands, not only flies in the face of decades of legal interpretation, but would also amount to an egregious denial of universally recognized Palestinian rights as an occupied people. A diplomacy of blackmail and economic intimidation is unworthy of a great power. Indeed, for the sake of world peace, we need the United Nations and U.S. respect for its declared legal principals. John Bolton and the Members of Congress who voted to chastise the Obama administration and the United Nations have conveyed implicit support of settlement expansion and a rejection of international law. Their votes are no favor to a one-state Israel, which will likely over time have an Arab majority.